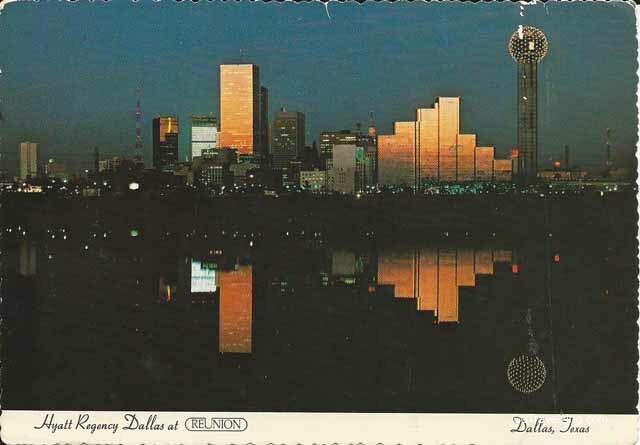 This postcard shows the Dallas skyline featuring the Hyatt Regency and Reunion Tower. It is an interesting photo because of the mirror image of the skyline shown in the water of a lake. This card was sent in 1978 by my parents to me when I was in summer camp. The Dallas skyline has changed a lot since this time but the Reunion Tower is still very recognizable among all the new buildings.